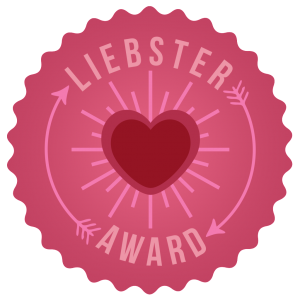 And the nomination for The Liebster Award goes to..... Me...(well, and soon to be 11 other bloggers). I think I echo Anne's sentiments, when I say "Wow!" What a surprise to be nominated for a blogging award, and by two different people. Thank you so much Anne and Tabitha - I am seriously blown away. Link back to the blogger that nominated you: Cheers to you Anne and Tabitha. Thank you for thinking of me! Answer the 11 questions requested by the nominator. Choose 11 nominees with small followings (from as small as 200 or 2,000). You can not nominate the person who nominated you. You must let the bloggers know they were nominated. Since, both Anne and Tabitha nominated me. I'll do an infusion of questions from the two (is that even allowed? Whatever, I'm a rule breaker. Kate Spade says to "skirt the rules" anyway). What was the best vacation that you have gone on? Best Vacation - Hands Down - was the three week trip to Italy in 2006 with my parents and my BFF, Ashley. As a requirement for the Honors Diploma at my University, you had to study abroad. As an out-of-state student, the cost for me was the equivalent of being able to travel independently and go with my parents. I proposed an independent project, was approved, and had the trip of a lifetime. You have a free night...go out or stay home? Considering my first few years of college were spent going out 4 nights a week, or working 70+ hours planning and attending special events, or fulfilling my ridiculous schedule obligations now, I would probably choose to stay-home over going out. Don't get me wrong, I do like to go out, but sometimes I like to just have a relaxing night in with take-out and a rented movie or book. What is your favorite book? I have so many books that I love (I'm a big reader. Please feel free to share your suggestions!) But my classic favorites include the Bronte sisters, Jane Eyre and Wuthering Heights, and Jane Austen's, Pride and Prejudice. What is your favorite store and why? TARGET, especially the ones that have Starbucks inside them. Their clothes are affordable on a teacher's salary (love their cardigans) and their prices/selection on home goods, stationary, fashion accessories, Target brand nom noms, pet supplies and cosmetics are definitely awesome. I wish Paducah had a Target (I dislike Walmart for several reasons) but my wallet sure isn't. If you could have any job what would it be? I would be an Event Planner. For several years, I planned weddings and events out in Southern California (San Diego) and I miss it more than anything. I was passionate about working with clients and bringing their visions to life, no matter how small or how grand. I love nothing more than letting a bride focus on marrying her best friend, while I handled the stress of nailing down all the details and event execution. Loved. Loved. Love Event Planning. What is your favorite holiday and why? I love Christmas. My grandparents got married on Christmas Eve, and I used to want a Christmas inspired wedding of my own. I think Christmas is my favorite because growing up as a military brat, we always lived away from my Gramman and Grandad, but every Christmas we would trek the often 13 hours to spend the holiday season with them. Some of my fondest memories are at their home during that time. My Gramman is also the most amazing holiday decorator, and her gingerbread themed kitchen is my absolute favorite. We even share some of the same homemade decorations for our individual gingerbread trees. As much as I still love Christmas and it's by far my favorite holiday, admittedly some of the joy has been taken out of the holiday for me. My sweet Grandad was diagnosed with Stage 4 Pancreatic Cancer during the 2008 holiday season, and sadly, that was his last Christmas with us. Truthfully, his receiving a terminal diagnosis was the shittiest Christmas Gift I received that year, or frankly, ever. 7. How long have you been blogging? Since the 18th day of January, in the year of our Lord two thousand and fourteen... essentially...weeks.. but it totally sounds better when worded that way, right? 8. Do you have any pets? Tell us about them. I have a 17 lb. cat, named Tiptoe, who will be 10 this May. She's a Hemingway Polydactyl. Basically, she has a genetic defect and thus, has extra toes. In total, she has 24 and her front paws look like big mittens. I have a 3-year-old Pomeranian named Pippa. She looks like a fox, and what she says varies at times, depending on her mood. 9. If you could attempt to do something, and not fail, what would you attempt? Quit my job and open a wedding/event planning company. Event Planning is my greatest love. I miss it and yearn to plan weddings and events again. 10. If you had to choose between makeup and hair products (shampoo, etc. not included), which would you choose? Make-up. Generally, I have okay hair and I definitely have no shame in rockin' the pony for days on end, but I suffer from Papular-Pustular Rosacea and without make-up to cover the redness and often times, bumpy flare-ups, I would probably never want to leave the house. It has been the source of some debilitating confidence issues and something I've struggled with, and will forever struggle with, for almost a decade. 11. Favorite animal? At the moment, I'm going to say that my favorite animal, because I want one so bad, is the Sphynx. Otherwise known as the hairless cat...yes, I'm well aware that they are inside-out cats, kind of creepy/ugly. BUT, they feel like peaches, love to cuddle, wear sweaters, and like bath time. Judge me all you want, but I want one and one day I'll own one and name it Wookie. 1.What is your signature Starbucks drink? 2. What's the strangest advice that you've ever been given, yet you swear by it? 3. What non-profit organization do you support? 4. What was the reasoning behind your parent's choice for your name? 5. Are you a shower singer? If so, what songs are in your watery set list? 6. What's the worst date you've ever been on? 7. Do you have any tattoos? 8. What do you think the fox says? 9. If you were 16, what advice would you have given your future (current) self? 10. What song would be on the soundtrack of your life? 11. What is something embarrassing about yourself? Loved reading your answers! Target and Christmas.....but of course! I am in love with your answers!